High-performance, patented water draining system on the lower sill helps prevent water accumulation. Patented sliding system features adjustable dual-tandem. Alside represents over six decades of inspired innovation. 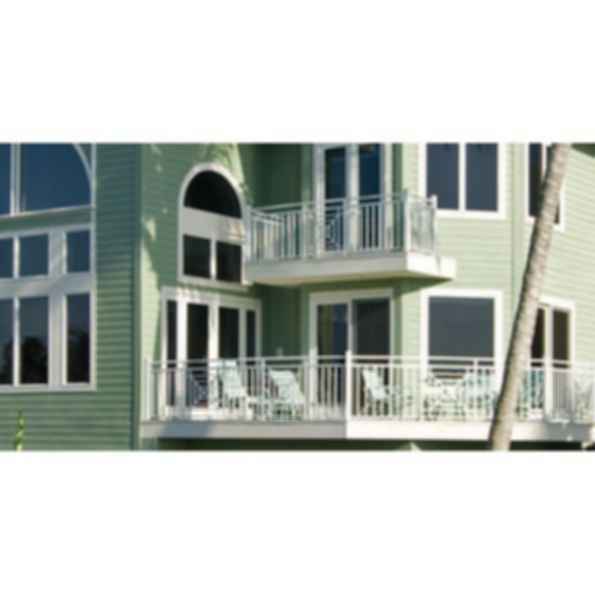 Founded in 1947, Alside is a leading manufacturer of vinyl siding and accessories, vinyl windows and patio doors, and fencing and railing products for the residential and commercial remodeling and new construction markets. With headquarters in Cuyahoga Falls, Ohio, Alside has over 3000 employees in its seven manufacturing facilities (Cuyahoga Falls OH; West Salem OH; Ennis TX; Cedar Rapids IA; Kinston NC, Bothell WA; and Yuma AZ). Alside products are distributed to licensed professional remodeling contractors and home builders through our network of over 100 Alside Supply Centers and also through select independent distributors across the country. A division of Associated Materials Incorporated (AMI), Alside is a recognized leader in the home improvement industry, and is a charter member of the Vinyl Siding Institute, the American Association of Architects, the National Association of Home Builders, and the National Association of the Remodeling Industry.